Artist-run space or international art gallery, we believe that everybody in the art worlds needs simple and secure tools. 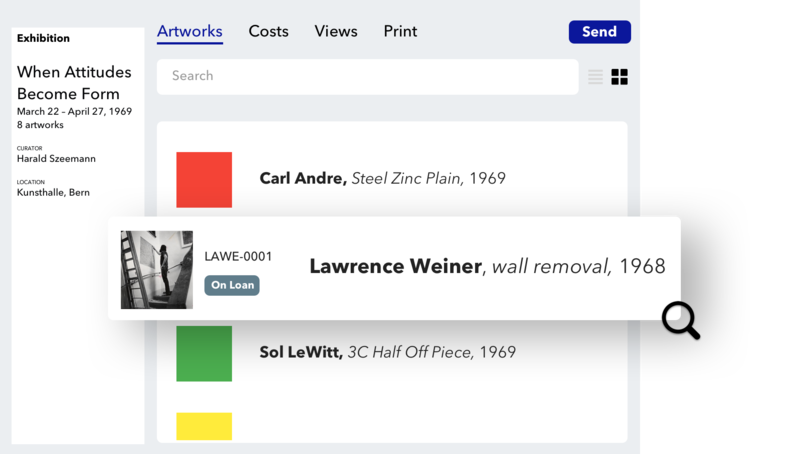 Save and index unlimited information and images about your artworks. Whether to search your current stock or for archival purpose, your information is kept safe and always accessible. Craft your next proposal, prepare your next exhibition, art fair or production. You generate accurate and up-to-date lists on the fly that you can share in one click. From organizing an exhibition to selling an artwork, exchanging art information is at the heart of your activity. With tropy.co, you privately share your information, anywhere, with anybody. Create invoices in one click. With tropy.co transactions, accept all credit cards (including AmEx) and get paid faster. Sales information are automatically exchanged. 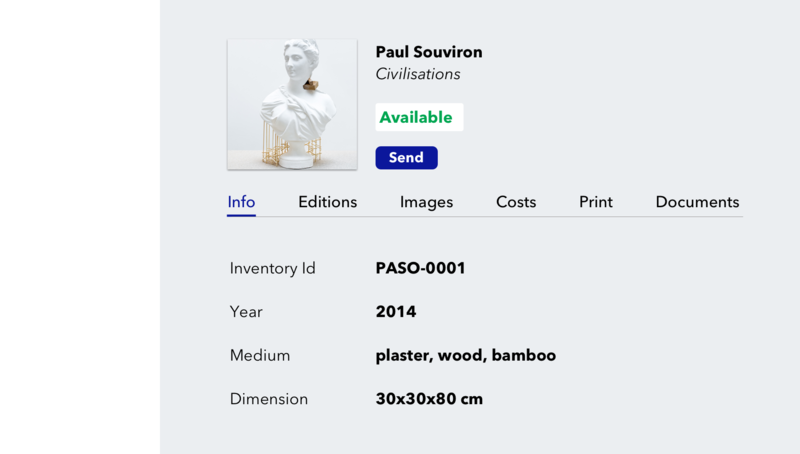 Start adding your artworks today, it's free. We are here all along the way, from importing your current inventory to answering any question instantly.